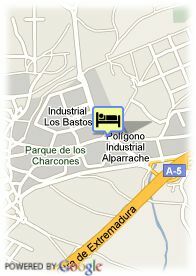 Paseo de Alparrache 19, 28600 Navalcarnero, Spanje. Villa de Navalcarnero is a friendly establishment ideal to spend your holidays or business trips in Madrid. 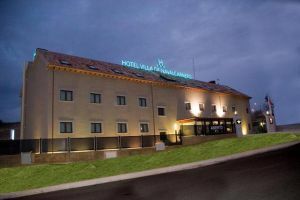 This hotel is located at just 20 minutes from Madrid City by car, situated within a dynamic area including Móstoles Technology Park, the commercial area of Xanadu or Warner Bros funfair. Villa de Navalcarnero offers 60 full rooms. Very well decorated, all of them dispose of air conditioning, Web TV, RDSI connection and mini bar. The establishment also offers two halls ideal to hold reunions, conventions, events and seminaries. In its restaurant you could taste a great variety of dishes and its specialties made of meat or roast fish. Moreover, the hotel disposes of gymnasium, garden and a practical car parking.